***IMPORTANT: I have learned that each color of these liners look TOTALLY DIFFERENT ON EVERYONE DEPENDING ON THEIR SKIN COLOR!!!! This unique shimmering beauty first appeared a glistening iridescent silver on me. Subsequent passes led this into a duochromatic opaque shade of GLITTERING Bellflower pale blue/lilac! 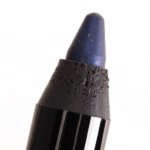 An enticing shade on, enlivens the eye, again, effortlessly, and with barely any product. Depending on how heavily used, it's a lush shade alone or just as a luminescent highlighter that works well with my eyes. I think these would work with ALL eyes in UNIQUE ways. Again, totally worth $25. 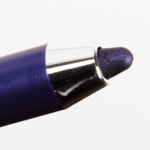 If a beginner wanted an eyeliner, these are so soft, gentle, easy, lasting, gorgeous, that a color in preference of that individual would be a great investment because they would not need to go and buy others. Nor would they harm their eye and, because it's so forgiving, it would make a beautiful learning tool, just starting with one. This is a favorite all around look by using it on tightline, waterline, upper & lose lash line. It makes a refreshing smoked lavender that glows. So flattering. I'm a lunatic about (Luna)tic, yet because this was more neutral than I was hoping, I was inspired to purchase the pale pink Obey-ge. (Inner corner, middle lid highlight, waterline)I can't wait to receive it! <3!!!! I'm in love with these liners! OMG! They are the most gentle liners EVER yet! This applies so smoothly, all I can do is repeat the word EFFORTLESS. 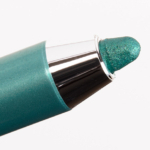 A brightening light/medium beautiful shimmery mint/emerald/teal/aqua polychromatic color that looks STUNNING tight-lining, upper or lower lash lining! In one swipe, I get insane payoff, but in two, I have a color beyond even other higher end pencils I've bought in this color range. Non of these liners are dupable in my opinion. This color gets to an ethereal place I've dream of! Easy to use, genius execution, excellent packaging, perfection found. 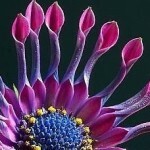 My eyes are sensitive, and this is soothing both the skin, and my mind! (Money well spent. This will last soo long, totally worth the splurge, would buy every one of these if they came in colors I wanted.) lasts until I take I take it off, Intro(vert) is a mermaid color making this introvert quite satisfied! <3! 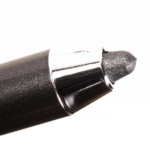 This is a review for Sephora Collection Contour Eye Pencil 12hr Wear Waterproof. I'm guessing to include this here, as I don't see a spot for anything but the regular Eye Contour. 🙂 Baby Blues: This opened easily and stayed firm upon a smooth gel-like application that applied opaque on one swipe. 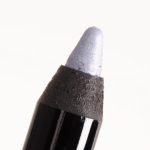 The color is a beautiful shimmering frosty silver/baby blue/lilac with cool undertones. It lasted well, pigmentation wise, and really brightened up eyes! I love this color! Not only it is colorful enough to look beautiful alone, but also light enough for highlighting! The color seriously impressed me, and I've not a dupe for it. Yay! $10 Exclusive, it says. I RECOMMEND!!! I received this with the Marc Jacobs Beauty Highliner Gel Eye Crayons, and though this is not like them, the color is totally unique from them, and I feel the quality is quite good for $10. Being a fan of the original Turkish Delight, I'm quite disappointed with the run down useless formulation of this! For me, this is just another example of what tragically occurs when a company stops making a great product and then tries to replicate it. Failure. I also loved the original Lancôme eyeshadows and UD. The greatest thing about this product is the reminder that I have a few backups of the better discontinued one. Also, if a product is NOT going to be the same, I think the company should NAME it DIFFERENTLY. This is not Turkish Delight. This is a review for Iced, Pleasure Model, and Hollywood. Over the original matte OCC LIP TARs, these add the perfect touch of shimmer, highlight, a false fullness effect, and shine with whatever color you choose! 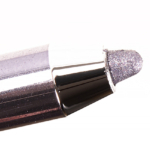 Iced: a cool silvery shimmer Pleasure Model: A cool pinky peach shimmer Hollywood: A warm beigy golden shimmer Try one of these in the Cupid's bow and center of lips over any matte color to really make lips stand out with color AND shine that last all day. 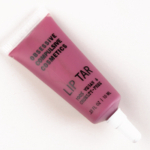 A Medium/Deep Plum/Mauve shade of the classic OCC LIP TAR. (This is the exact shade of my lips.) 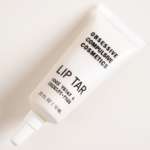 Creamy, blendable, forms a perfect film around lip lines, moisturizers with a cushion effect and lasts all day. Looks natural. Exfoliate lips and NSFW sure they're moisturized and smooth before carefully applying a tiny dot of this to lips and gently working with a brush to cover entirely. A beautiful flush of color just like ours but better! I've used this since I was a teenager! It never creases, lasts forever, even when swimming, covers dark circles and makes for a wonderful eye primer and concealer wherever needed, does not irritate my most sensitive of skin, is odorless, a tiny bit goes a long way so a tube lasts way past the price point, the lightest color actually works for me, the fairest of skin tones, and I've tried everything but I keep going back to this magical potion! 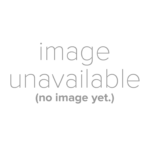 It's luminous naturally but doesn't wear off, look ashen nor oxidizing, drying, or pore clogging. <333 If you're looking for a great concealer, this is a gem!